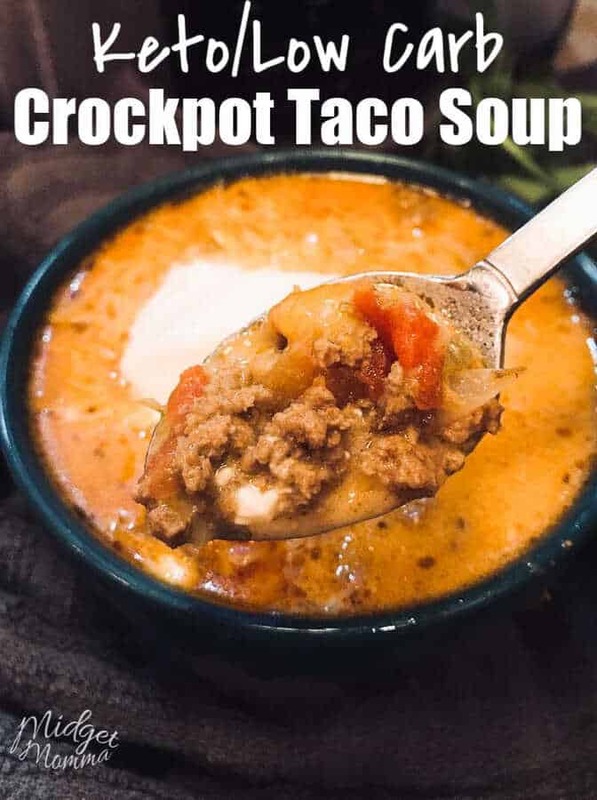 I love using my crockpot for cooking meals. With 3 kids, a house to keep in order, blogging and every thing else that comes up during the day having a healthy meal that fills us all is important. 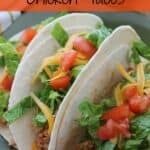 We love tacos in this house and at times we like to have something a little bit different, we normally have beef but when we want to change things up we can switch it up with these Easy Crockpot Chicken Tacos and we have a meal that the whole family loves and it is super easy to do. I put it in the crock pot at lunch time and by the time dinner time rolls around the house smells amazing and we have a yummy meal! Your favorite toppings like tomatoes, lettuce, my homemade guacamole , sour cream, cheese ect. 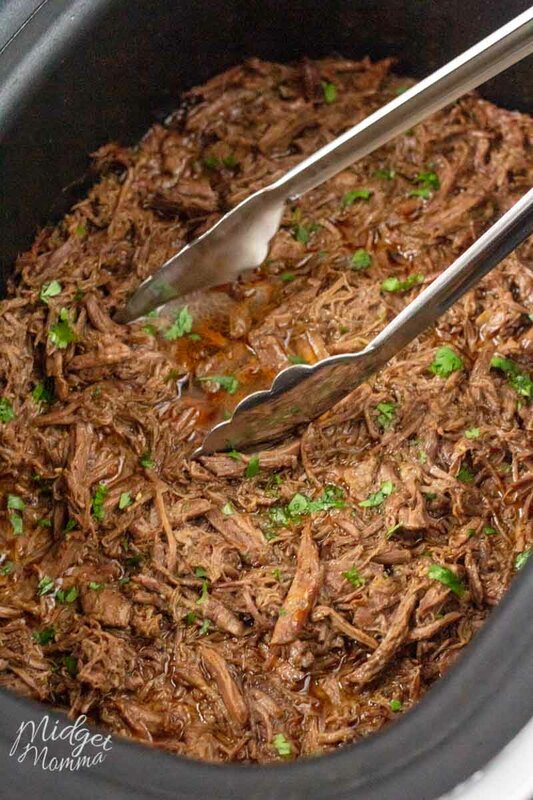 Spray your crockpot with nonstick spray. Add all liquid and spice ingredients to slow cooker and stir so they are blended. Then add in the chicken, put the lid on and cook on low 6 hours. After the 6 hours, use a fork to shred the chicken and let it cook for an additional 30 minutes. This gives you just the right amount of time to get the other things ready for dinner. On Weight Watchers? Check out these other great Weight Watchers Recipes. 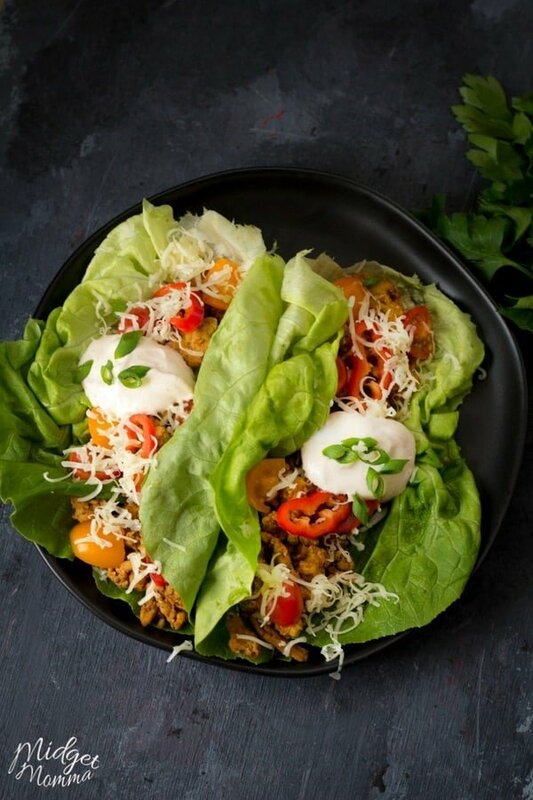 Crockpot Tacos are the perfect meal for a busy day. 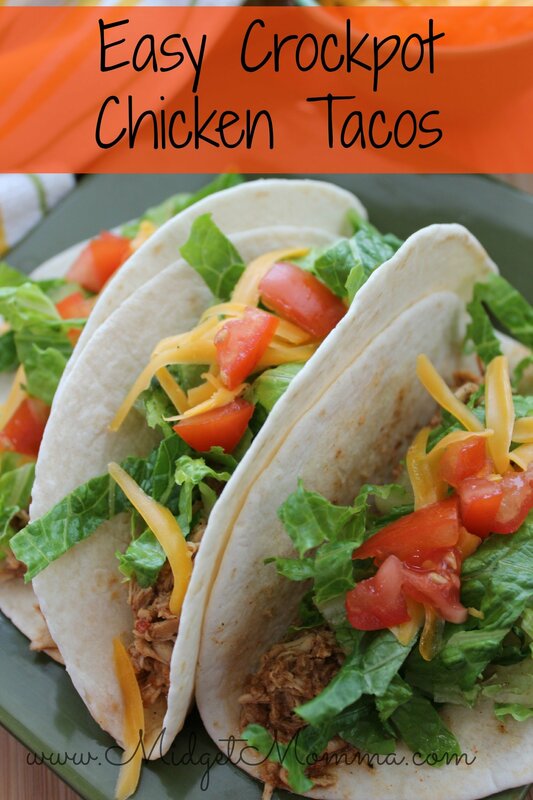 Cook the amazing chicken taco meat in the crockpot and then top with your favorite taco toppings. Your favorite toppings like tomatoes lettuce, my homemade guacamole , sour cream, cheese ect. Add all liquid and spice ingredients to slow cooker and stir so they are blended. Then add in the chicken, put the lid on and cook on low 6 hours. After the 6 hours, use a fork to shred the chicken and let it cook for an additional 30 minutes. This gives you just the right amount of time to get the other things ready for dinner.